It is reported, TRON will launch virtual machine on May 25, mainnet on May 31, token migration on June 21 and the first 27 super representative elections on June 26. 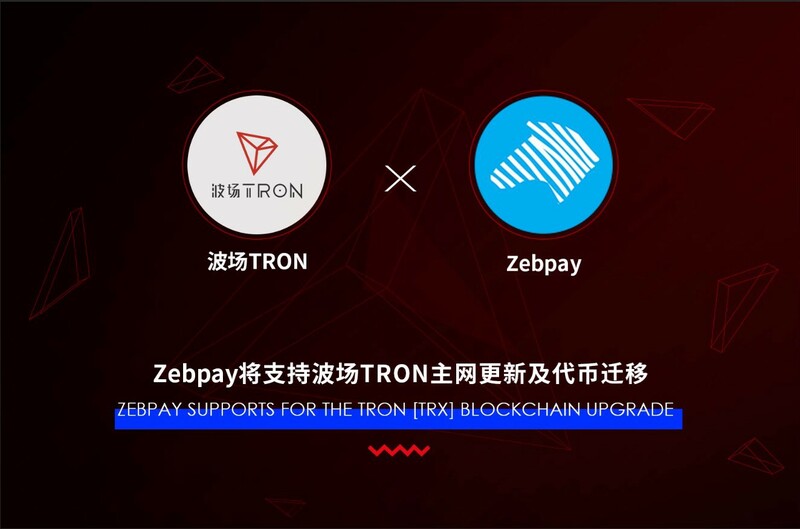 With this date approaching, today,Zebpay, one of the superior digital asset trading platforms, announced that it would support the TRON blockchain upgrade and token migration. By then, investors only need to deposit TRX’s ERC-20 tokens to Zebpay and will receive the equivalent TRX token. Zebpay is one of the largest cryptocurrency exchanges in India, it supports multi-currency exchange service.